According to the National Climate Data Center, the autumn of 2015 (September-November) was the warmest ever recorded for the lower 48 states and Alaska. Tom Ashbrook for the National Public Radio program On Point interviewed me on the biological effects of this unusual weather event. My key point was that such extreme weather creates winners and losers, with many species increasing in abundance and others declining in abundance and even going locally extinct. You can also listen to the interview HERE. Many plants are flowering and even leafing out at a time that they should be dormant. Shown above is a forsythia shrub in flower on December 19th in Newton, MA. 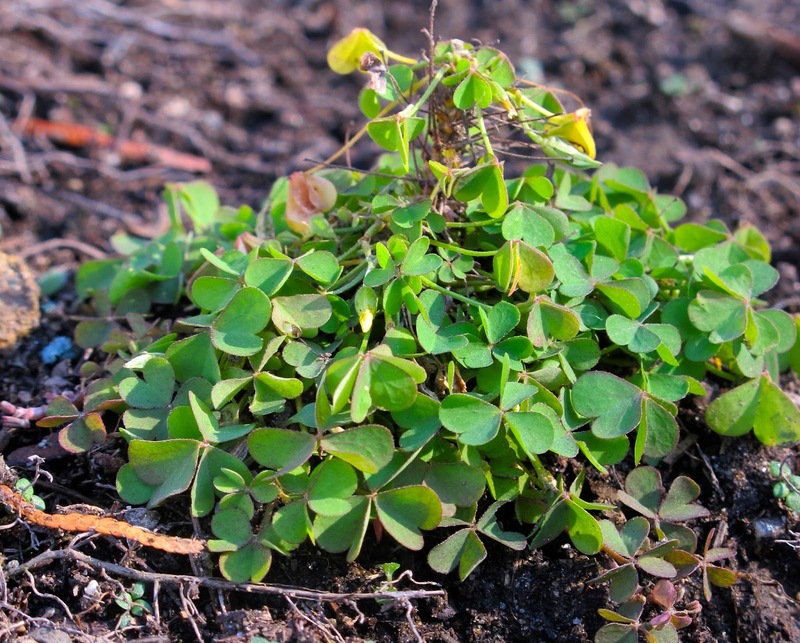 Annual plants such as the above yellow wood sorrel are still growing and not yet killed by frost; this plant even has a flower bud. Birds are also remaining north longer than usual. Massachusetts had many new records of late bird observations. In Saco, Maine, 6 species of warbler and other migratory bird species are still present in mid-December. You can keep an eye on autumn bird data collected by citizen scientists at eBird. Butterflies and dragonflies are also still flying in December at various New England localitites when they normally would be dormant. Monarch butterflies have been seen in Vermont, Pennsylvania, and North Carolina. In November, as part of my Humboldt Fellowship, I visited Peter Poschold’s research group in Regensburg, a town north of Munich in Bavaria. Peter’s group studies changing land use patterns and the distribution of plant species. The view from the top of a castle hill shows the intensive use of the region over thousands of years, from before Roman times and on to the present. Note the medieval bridge over the Naab River. 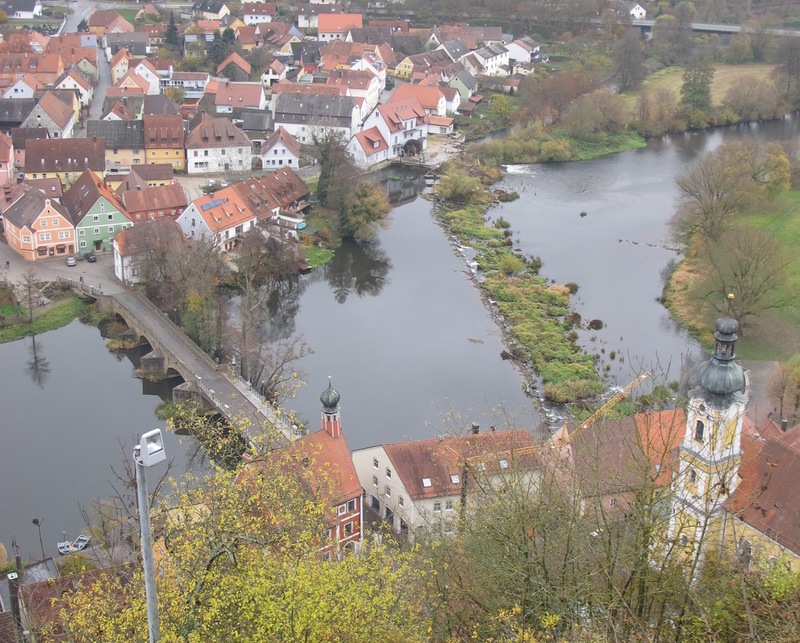 This region of Bavaria is also noteworthy for hundreds of fish ponds established 900 years ago by the Catholic Church and still in operation. 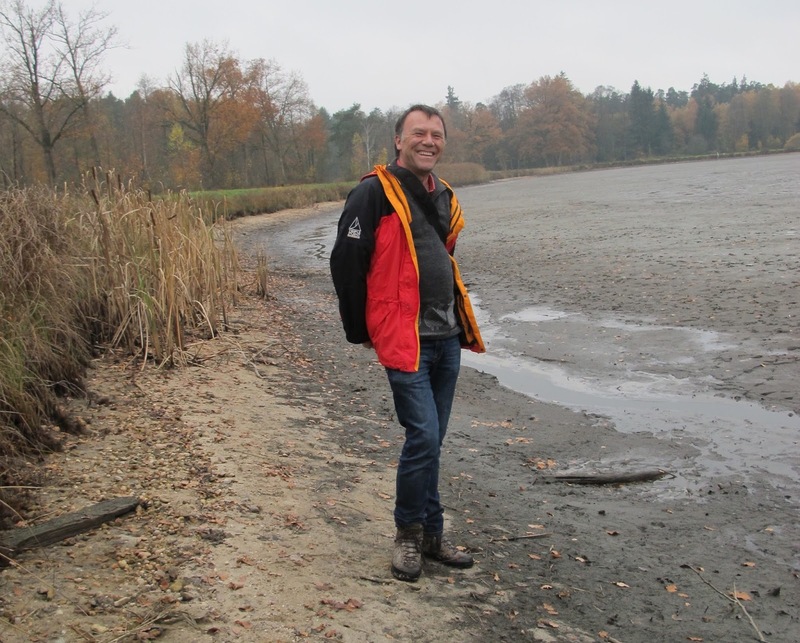 Peter’s group studies the seed ecology of the plant species that germinate on the wet mud flats when the ponds are drained every few years for maintenance. Regensburg was founded by the Romans, and evidence of their walls can still be seen. I am standing in front of the original Roman gate built 2000 years ago and now a passageway between streets. The town is dominated by one of Europe’s largest cathedrals, started in the 13th century and only completed 600 hundreds years later in the mid-19th century. 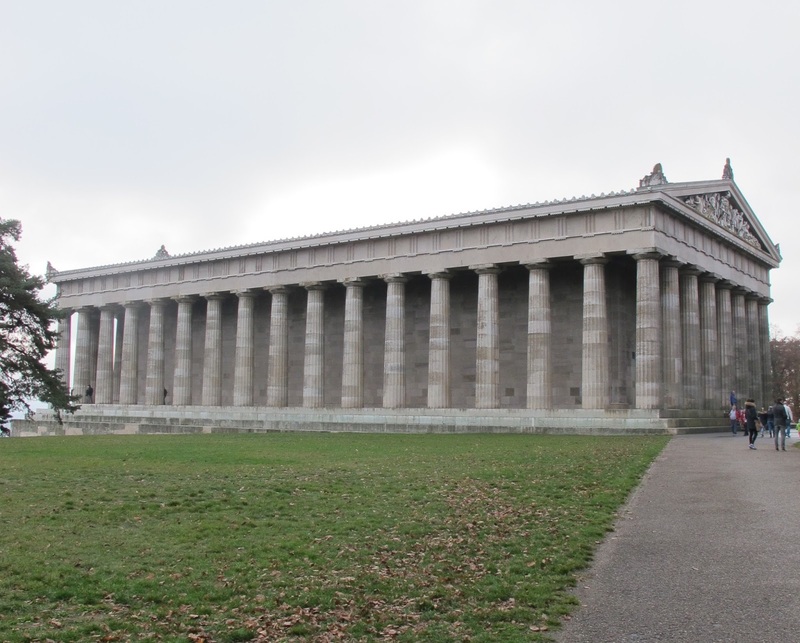 A special treat just outside of of Regensburg on a hill above the Danube is full-scale replica of the Acropolis in Athens, built in the 19th century as a memorial to the German-speaking people. 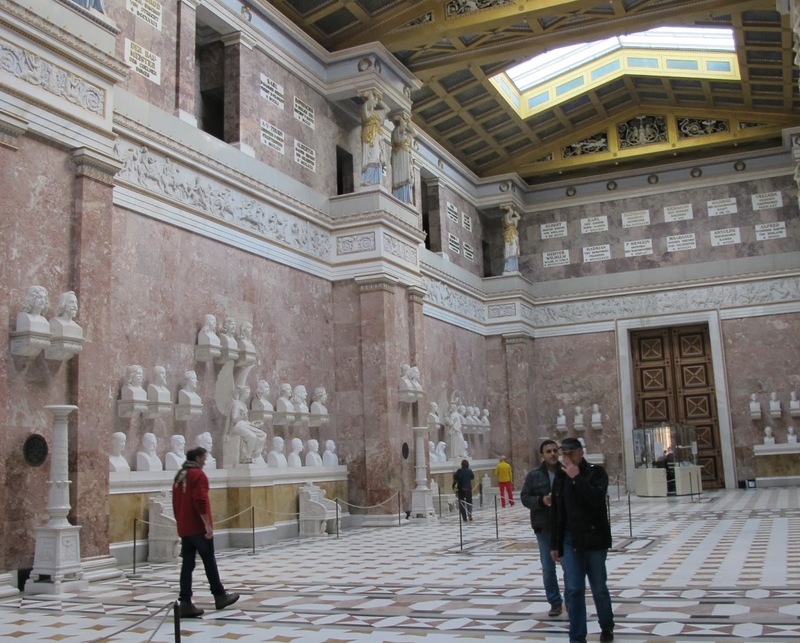 The interior of the structure has a gallery displaying the busts of people who have made the greatest contributions to the German people.